Which tablet should you buy this Christmas? Here’s your answer! Christmas is coming, although you probably know that thanks to a near-constant barrage of adverts, Christmas songs and blog posts telling you so (sorry…). Anyway, now is probably a good time to get your present list together. We know that you’ve still got 5 weeks to go shopping, but we all know that you’ll end up doing it last minute if you don’t start planning now. 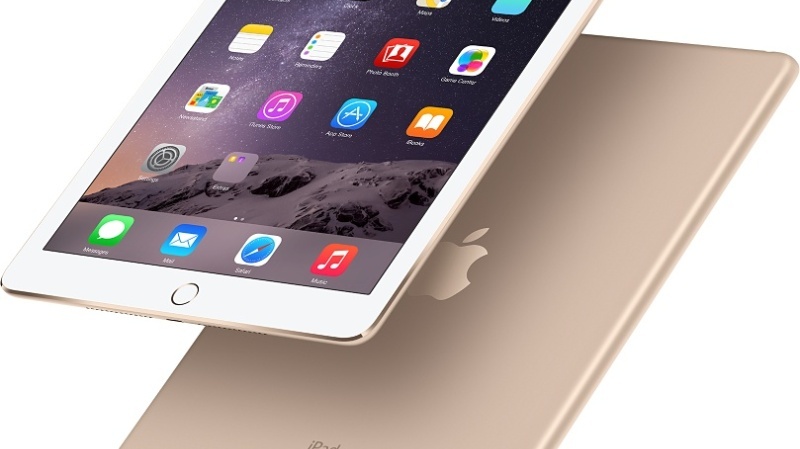 Tablets, as in previous years, are bound to top a lot of wishlists this year. With so many to choose from, though, where do you even start? Here, of course! Here’s a quick guide to this Christmas’s best tablets, with tips on who to buy them for. You can thank us later (with presents, please). Let’s be honest: when someone says ‘tablet’, the first thing you think of is the iPad. The iPad Air 2 is the latest tablet off the Apple production line, and there’s a strong case for it being the best tablet produced to date (in both the iPad range and in general). The 9.7 inch screen boasts a 1080p HD resolution, making the iPad Air an exceptional movie-watching and picture-viewing device, while its 64 bit processor can run even the most demanding of apps with ease. It also comes preloaded with iOS 8 and a TouchID sensor, which allows you to use Apple Pay as well as offering an extra level of security. The only real downside is that it costs so much: £399 is a significant chunk of anyone’s Christmas budget. Of course, you could always sell some electronics with musicMagpie to help reduce the bill slightly! Who should you buy it for? Someone you love very much. A very lucky (and extremely careful) teenager. The Apple fanboy/girl in your life. Android has long been the Pepsi to iOS’ Coca-Cola, but that is gradually changing. While the iPad Air 2 is arguably the best tablet on the market, Android devices are generally cheaper while offering a decent set of features. Leading the way for Android this year is Google’s Nexus 9. The Nexus 9 isn’t necessarily the most feature-rich of tablets – it does pretty much everything you’d expect a tablet to do with no flashy extras – but it does come preloaded with Android Lollipop, the latest version of Google’s mobile OS. While Lollipop will soon be rolled out to other Android devices, the Nexus 9 is undoubtedly the best way to experience it. The improved notifications, redesigned stock apps and performance makes this the best Android tablet experience to date. If you want a fuss-free tablet that looks the part and performs exceptionally, the Nexus 9 could be the present to buy. Who should you buy it for? The Android fanatic in your life. Devout Apple haters. Tesco, who are best known for selling groceries at reasonable prices, took the world by surprise when they released the Hudl last year; not only was it a tablet produced by a supermarket, but it was actually good too! The success of the Hudl has prompted Tesco to release the even-better Hudl 2. The biggest change is the 8.9” 1080p HD screen, which displays videos and pictures in near-crystal clarity. At just £119 (and even less if you have some ClubCard points saved up), the Hudl 2 is a solid tablet that will suit anyone who just wants to watch videos and play games. With extensive parental controls, this is a decent first tablet for younger children too. Who should you buy it for? At that price, anyone. It’s especially good for younger children, though. Unlike the other tablets on this list, the Kindle Fire HDX has a singular purpose: entertainment. This tablet is exceptional for watching videos, reading books and listening to music, and its close ties with Amazon’s store ecosystem makes buying and accessing new content a doddle. There are a few downsides though. Amazon choose to use their own version of the Android operating system which limits access to the Google Play Store, which means that you can’t download a lot of popular apps. It’s not ideal if the person you’re buying for is planning to use their tablet for work or productivity purposes, either. Who should you buy it for? Entertainment addicts. People who like to read. People who shop on Amazon a lot. Before we get a barrage of comments condemning us as Google fanboys, it wasn’t our intention to include two Google tablets in this post. However, the Nexus 7 2013 is such a popular tablet that it felt wrong to omit it. Compared to the other tablets in this list, the Nexus 7 is practically an old man and it certainly shouldn’t be your first choice if you’re buying for a tech fanatic intent on owning the latest gadgets. For everyone else, though, the Nexus 7 is a fantastic all-rounder that you can pick up for an extremely reasonable £199. Who should you buy it for? Anyone (as long as they want a tablet for Christmas). Think we’ve missed a tablet off this list? Let us know in the comments.